More than four in 10 Americans continue to believe that God created humans in their present form 10,000 years ago, a view that has changed little over the past three decades. Pause for a moment to reflect on all the other changes we have witnessed over the past three decades. And yet, creationism remains quite stable with Gallup's most recent poll showing that 42% of Americans reported that some sort of god created humans in our present form. 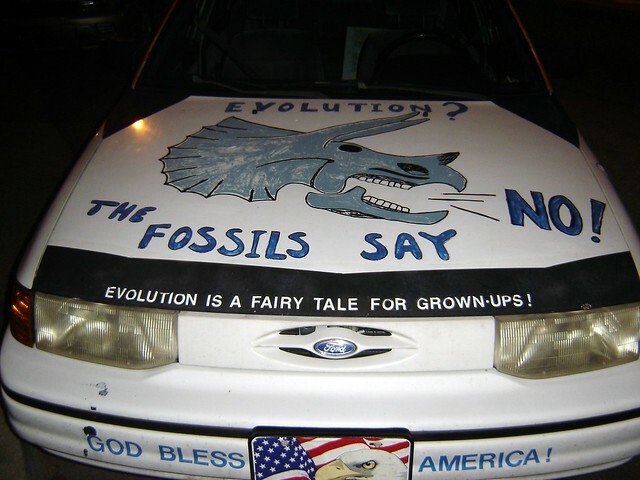 There is little indication of a sustained downward trend in the proportion of the U.S. population who hold a creationist view of human origins. At the same time, the percentage of Americans who adhere to a strict secularist viewpoint -- that humans evolved over time, with God having no part in this process -- has doubled since 1999. In other words, while those selecting #2 has been stable, more seem to be drifting over from #1 to #3. That is good news, even if it seems like small consolation in light of the stability of those choosing option #2. Between 40% and 47% of Americans over the past 32 years have said the creationist explanation for the origin of human life best fits their personal views. These Americans tend to be highly religious, underscoring the degree to which many Americans view the world around them through the lens of their religious beliefs. Religious belief - at least fundamentalist religious belief - is toxic to scientific progress. Because of religion, many Americans reject science. They willingly turn their backs on reality because they find fantasy more appealing. Scientific consensus matters little to them; the belief comes first. I suggest that we all pay a price for this, regardless of what we believe. Neil deGrasse Tyson cannot fix this problem by himself. As much as I have enjoyed the reboot of Cosmos, I do not see it as a magic bullet that is going to shatter this embarrassing trend. Far more of us are going to need to get active. It is becoming increasingly clear to me that apathy is not a viable option, at least not if we want our nation to survive.